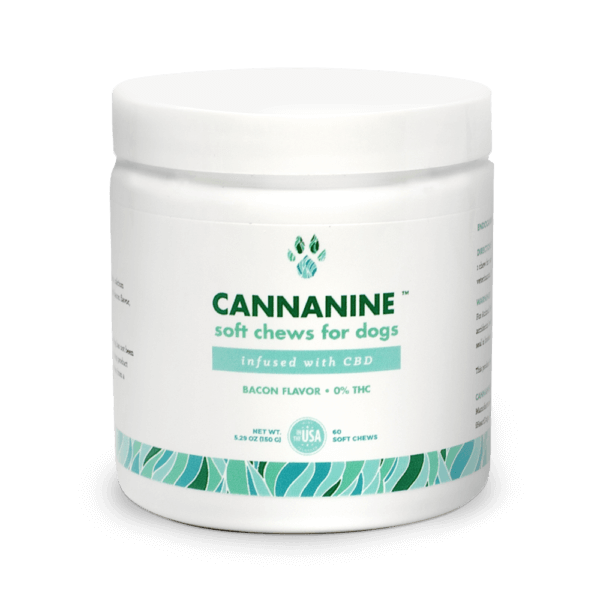 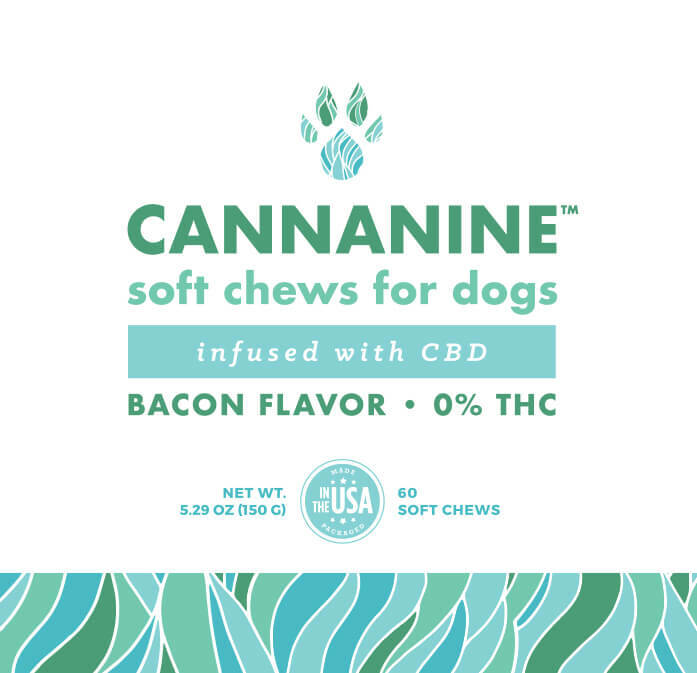 #1 CBD Chews for Dogs - Cannanine™ Bacon Flavor Soft Chews With CBD For Dogs 300 mg. 60 ct.
Cannanine™ Bacon Flavor Soft Chews With CBD For Dogs 300 mg. 60 ct.
Cannanine™ Bacon Flavor CBD Chews With Whole Hemp Plant CBD Oil For Dogs offers unparalleled botanical support for the endocannabinoid system. Our product contains no THC. These chews contain our high quality Cannanine™ CBD Oil in a super easy to administer form that dogs LOVE (they’re bacon-flavored after all). 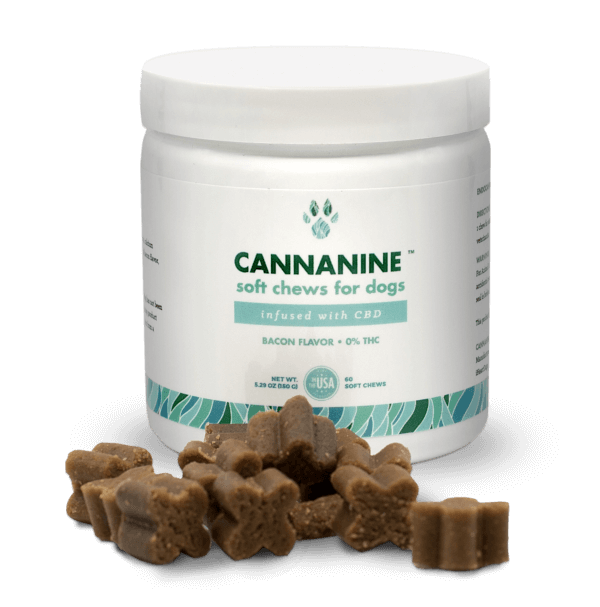 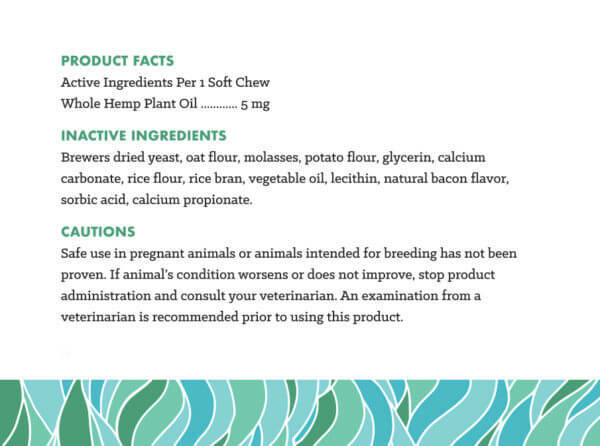 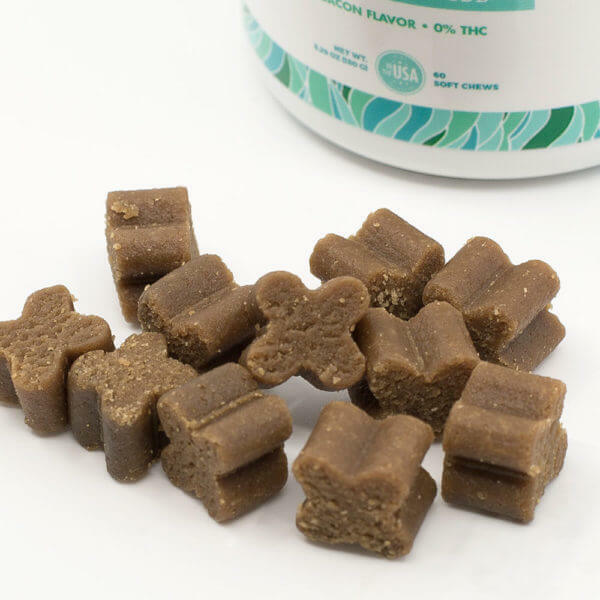 Our soft chews are a great addition to your dog’s daily CBD oil regimen. 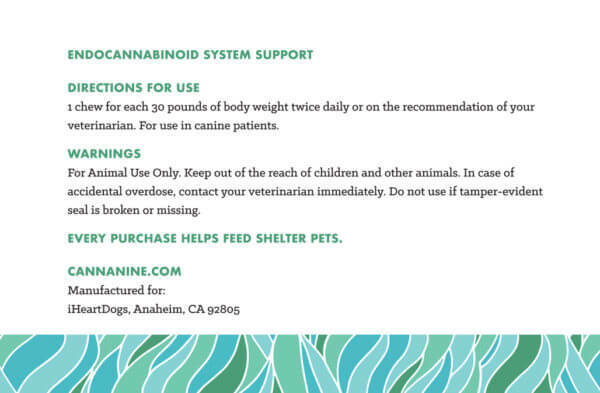 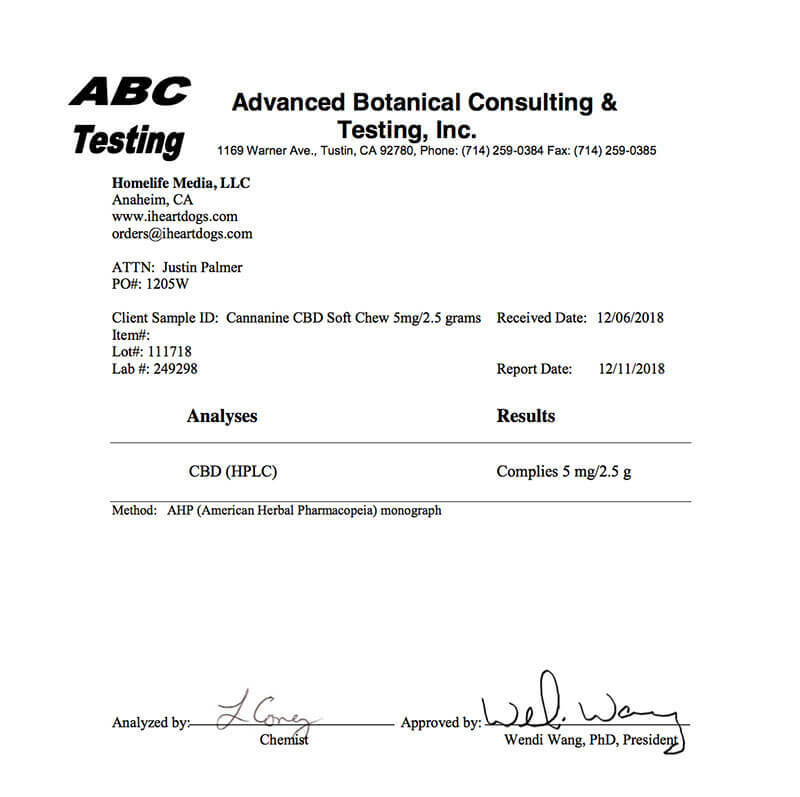 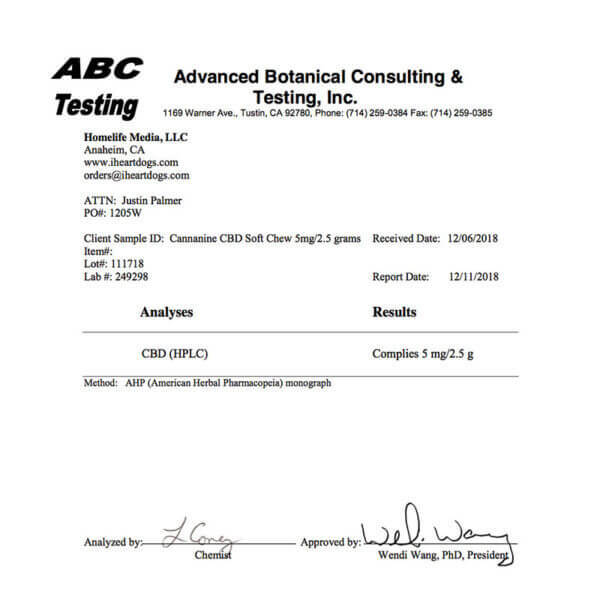 Contains no THC and will not make your dog “high.” Most other CBD oils contain trace amounts of THC, ours contains absolutely zero. 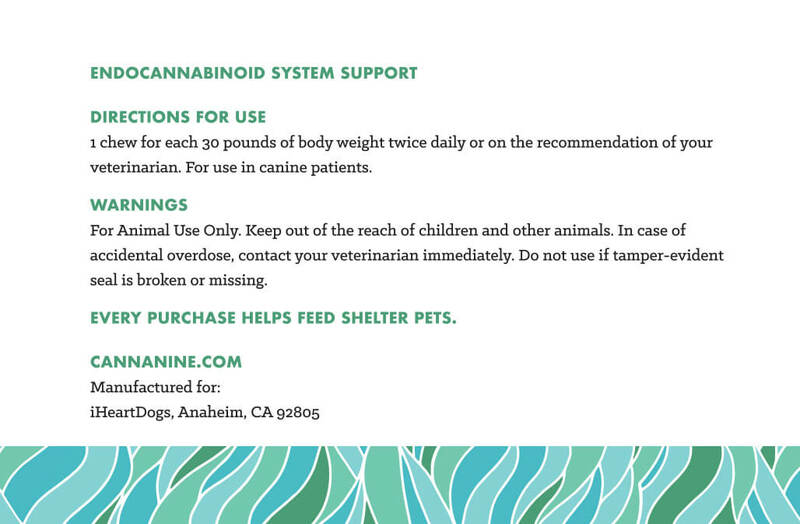 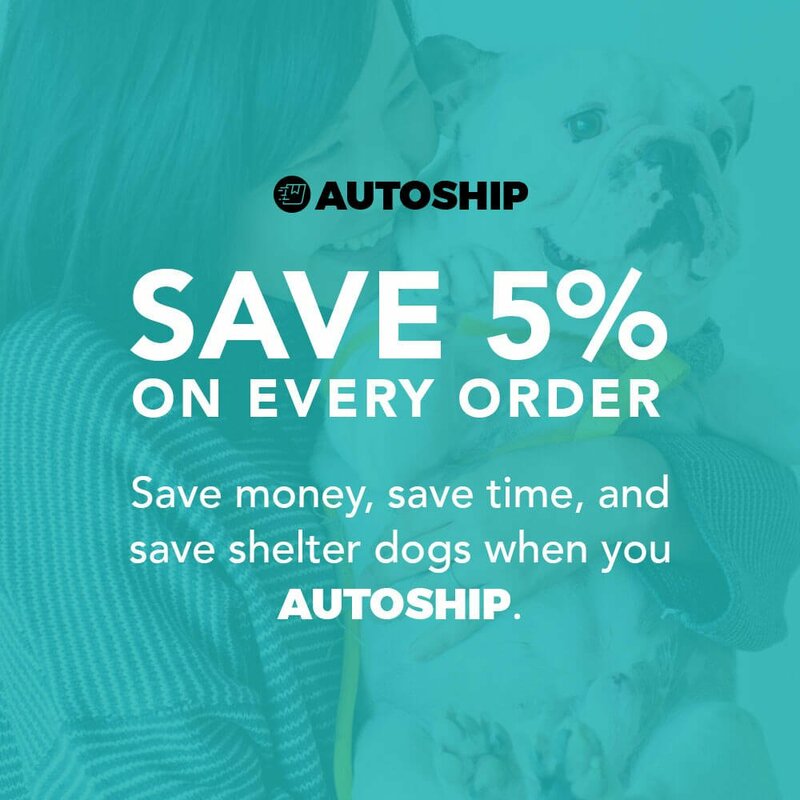 Give to dog twice daily or as recommended by your veterinarian. In general, 1 chew for every 30 pounds of body weight is ideal, however you can provide more or less depending on how much your dog responds to.